One day, more than twenty years ago, Zdenka Volavka found a lost treasure: the investiture regalia of the African kingdom of Ngoyo, dating from the Iron Age of the second millennium. The plaited copper crown or mpu, turned upside-down and filled with a jumble of metal objects, was on display in the MusTe de l'Homme in Paris, ignominiously labelled as a 'fishing basket.' These objects became the focus of Volavka's research in her remaining years, and form the subject of her book. 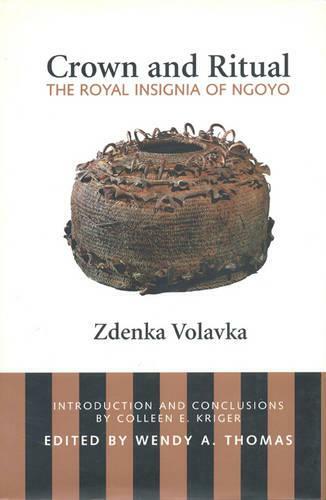 Combining extensive field work with ethnographic, historical, scientific, and linguistic analysis, Volavka reconfigures the nature of kingship and royal ritual in Ngoyo, uncovering the objects' true meaning and function, and reintegrating them into their original context. Detailed metallurgical analyses are included, along with a study of the role of copper in the lives of the peoples of the lower Za re basin. Volavka provides a sophisticated analysis of the social context of visual art and material culture and a special contribution to the history and ethnography of West Central Africa.